Trust your local experts to deliver affordable service and expert advice. As you'd expect from Pye, all our work is conducted by trained technicians to exacting standards. What you might not know is that we can also MOT your van, campervan, horsebox, minibus or motorhome.  In fact, we can provide all classes of MOT up to and including HGV. We are a VOSA approved centre and all MOTs are completed to a high standard. We promise to be transparent and clear about any work that may need to be carried out on your vehicle prior to it being done. An MOT is a legal requirement for most cars, but not only that, it ensures that your vehicle meets the minimum legal safety level. As a guide, you need to test a car when it is three years old and then annually after that.  Without a current MoT certificate, it is illegal to drive your vehicle or renew your road fund license. When you choose Pye to MOT your car or small vehicle, you can expect competitive prices, a time to collect your car that suits you and, if you're not quite sure what everything means, we can sit down and go through it with you. When you have the work done at Pye Motors, we'll make sure the work is completed to exacting standards, by trained technicians. All repairs using genuine Ford parts are guaranteed for 12 months, nationwide. Very helpful when I explained that I couldn't drive when the MOT was due. It was no problem for a mechanic to collect the car on his way to work and return it on his way home. When I asked about payment it was suggested I could pay over the phone. All very helpful at a difficult time for me. Let us know if you want a service at the same time and we'll book you in. If you are unsure which MOT certificate you require just give our specialists a call. We've been providing MOTs since their introduction in the 1960s so there isn't much we haven't seen. A Class 5 MOT is for private passenger vehicles and ambulances carrying between 13 to 16 passengers. We have a lot of experience in this size of vehicle, having taken care of the Ambulances for Royal Lancaster Infirmary for many years. If you don't drive an ambulance, which let's face it you probably don't, then we can also MOT your minibus or private passenger vehicle. The Class 7 MOT is for light goods vehicles weighing between 3 and 3.5 tonnes and is required by law to be completed after three years. We have extra large MOT bays that allow us to test all shapes and sizes of vehicle in this category from motorhomes to horseboxes. Our Transit Centre handles all large vehicle MOT, service, and repair enquiries. Drop us a line. Our specialist commercial workshop in Morecambe has facilities to accommodate any type of heavy goods vehicle. Our team of expert technicians deal with large vehicles on a daily basis and have an excellent record in pre MOT inspections.  With a separate entrance and plenty of parking space, our Morecambe branch deals with all HGV pre MOT, servicing, repairs and final presentation at our local Ministry of Transport testing station. We can also arrange local collection and delivery of your vehicle if required. We are fully qualified in the fitting and calibration of all types of tachographs, including analogue tachographs and digital tachographs, to all makes of vehicle.